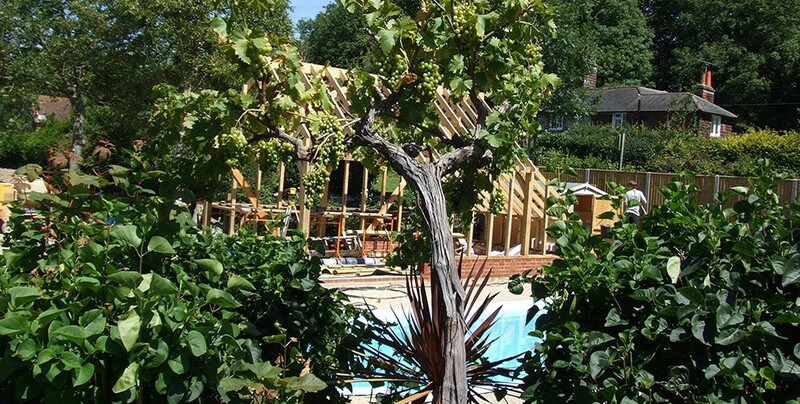 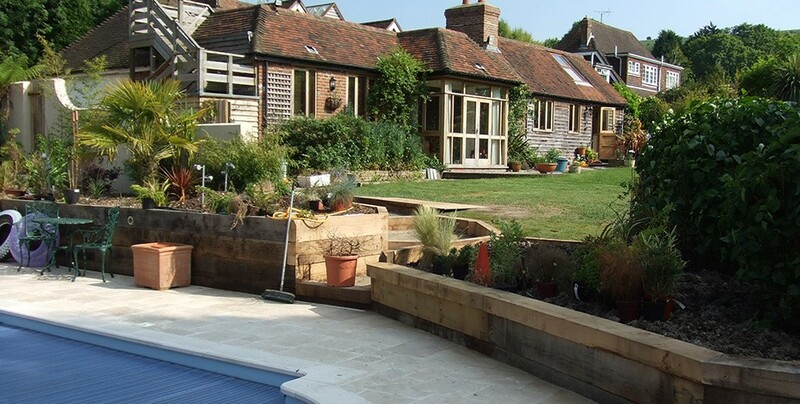 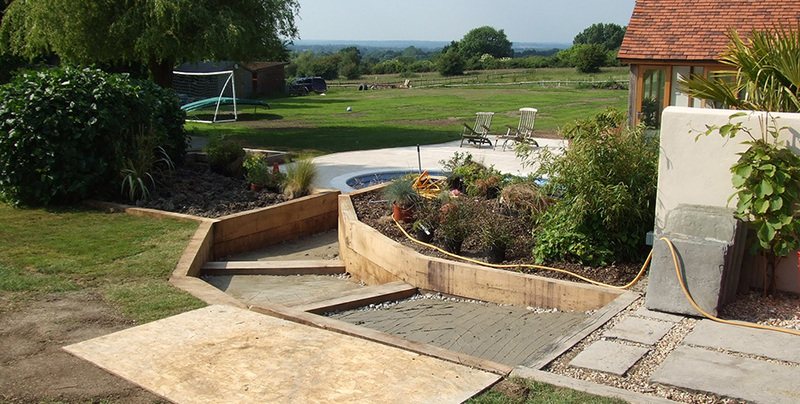 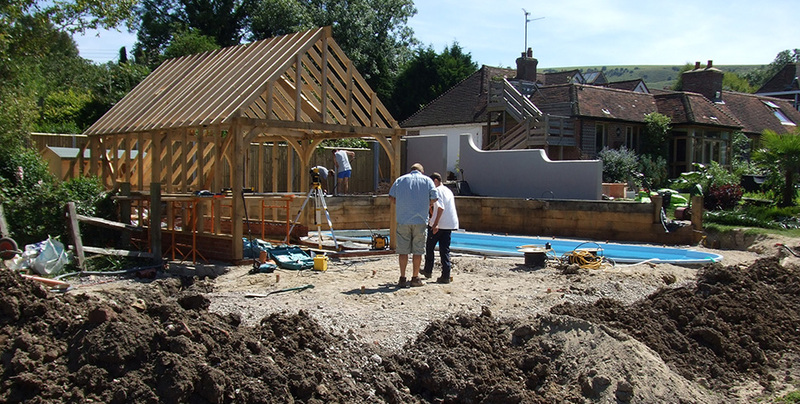 As part of a larger garden renovation project, our client required a neglected area of their garden to be landscaped, replacing disused stables and sheds with a swimming pool and tropical garden offering our clients outstanding views across the Sussex countryside and South Downs. 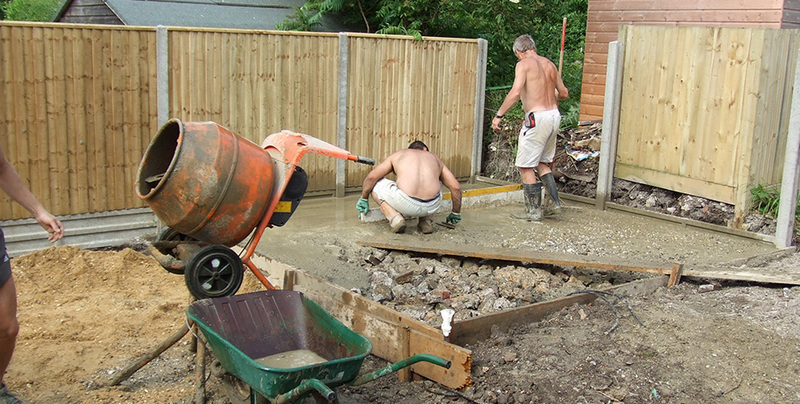 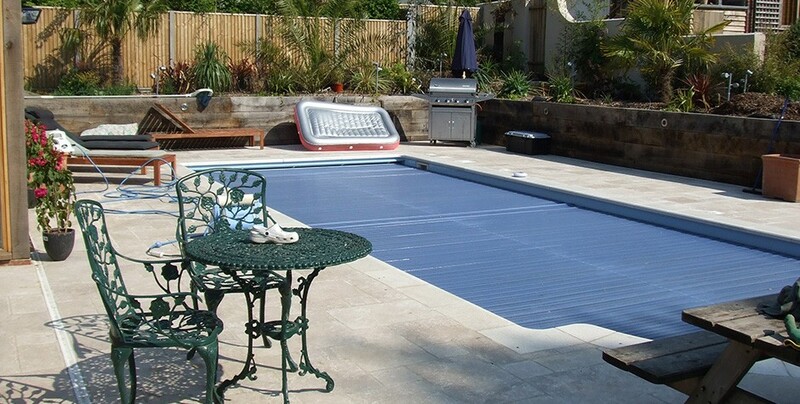 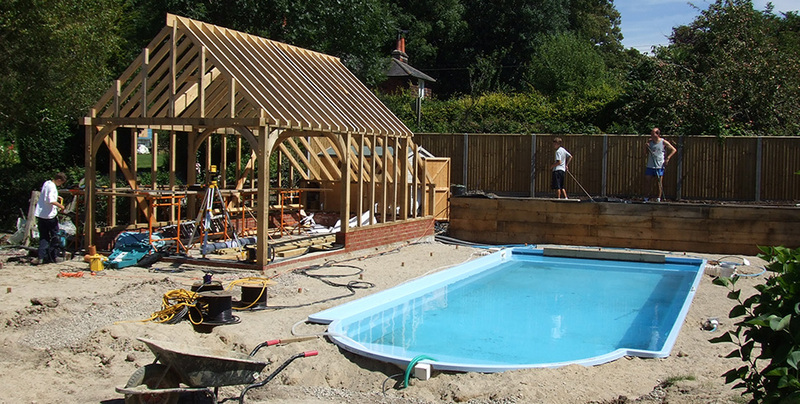 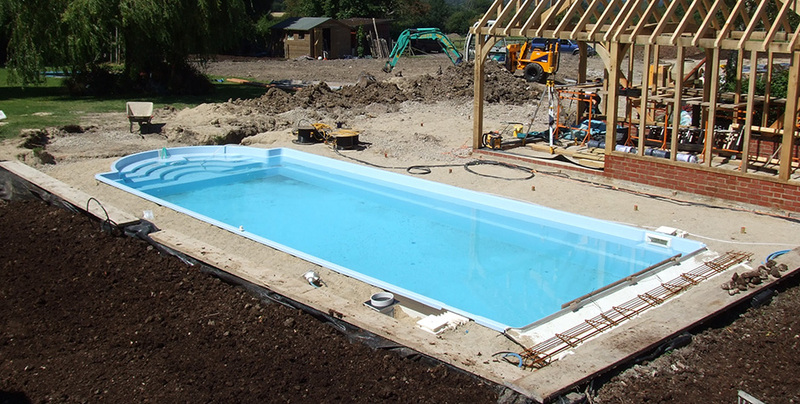 After our initial consultation, we decided that a pre-fabricated sunken swimming pool would be most suitable. 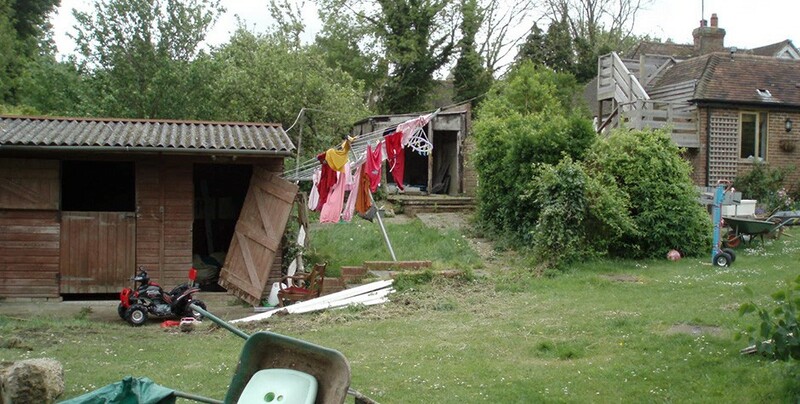 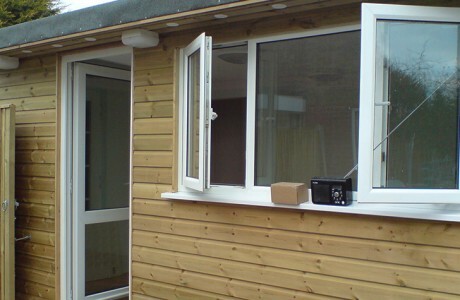 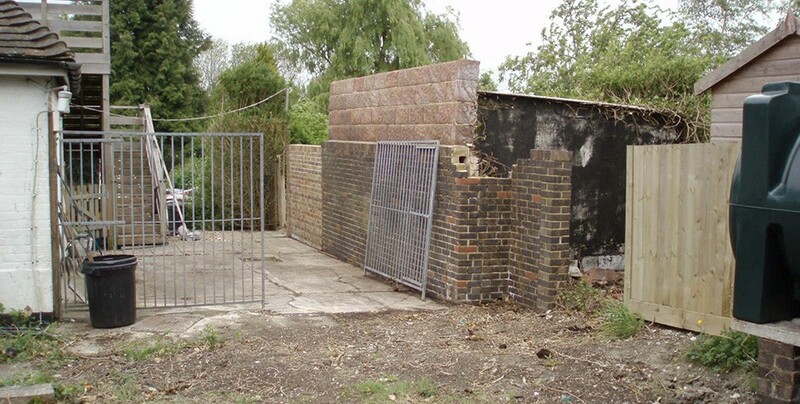 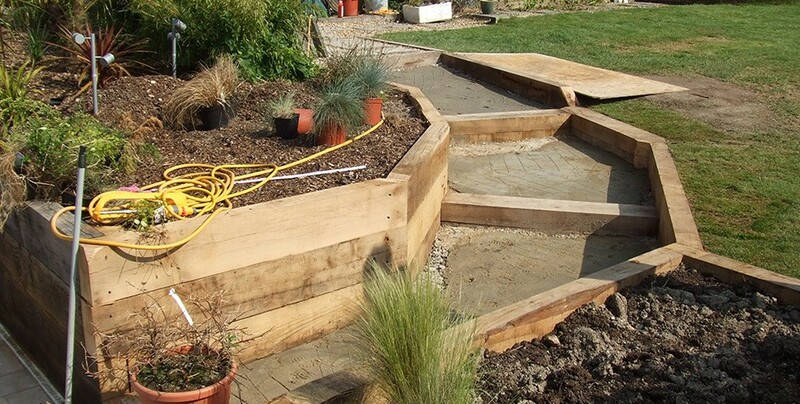 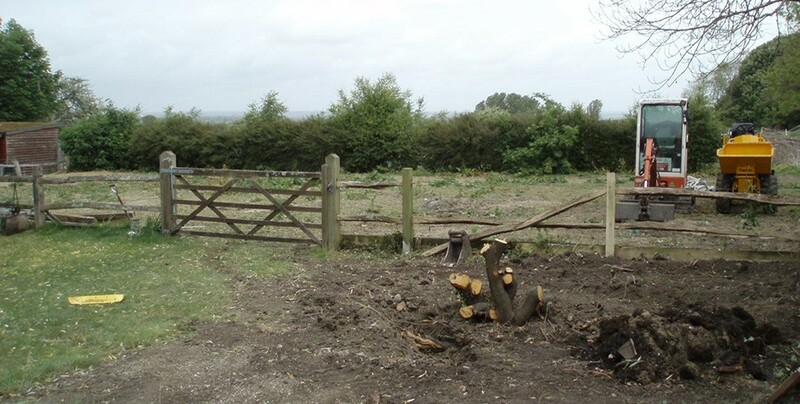 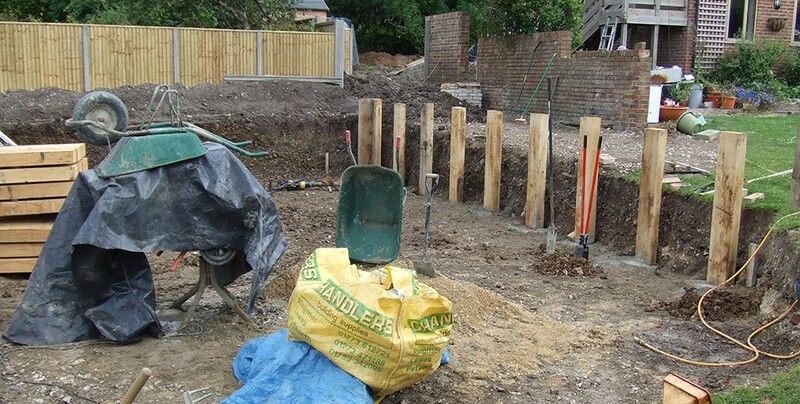 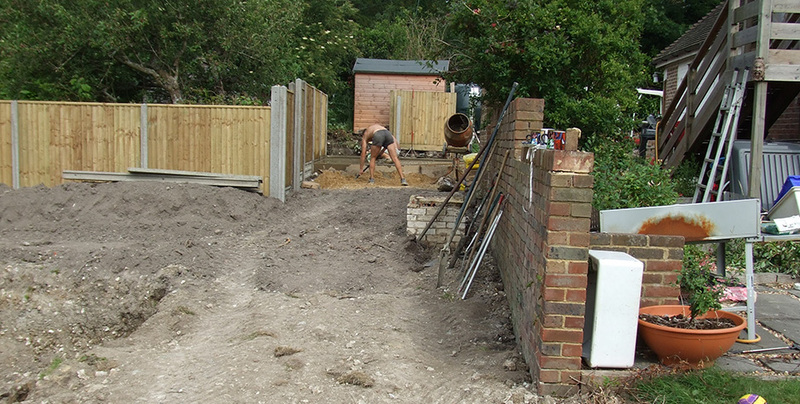 Once the initial outbuildings were cleared, we installed heavy duty boundary fencing and raised planting areas, with paths leading to the house and other areas. 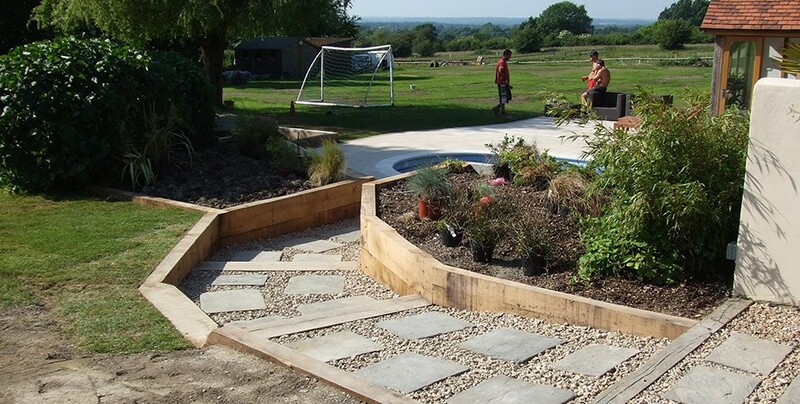 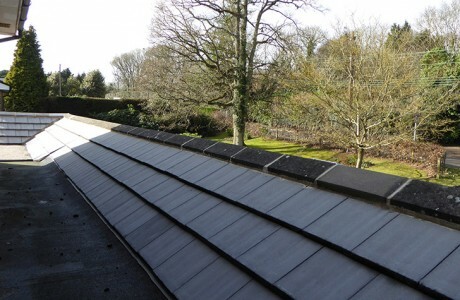 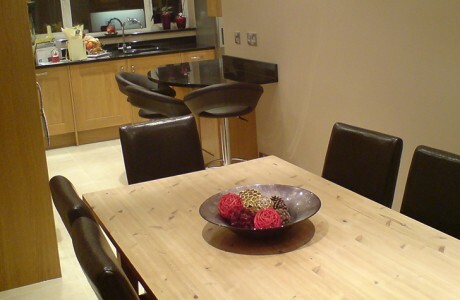 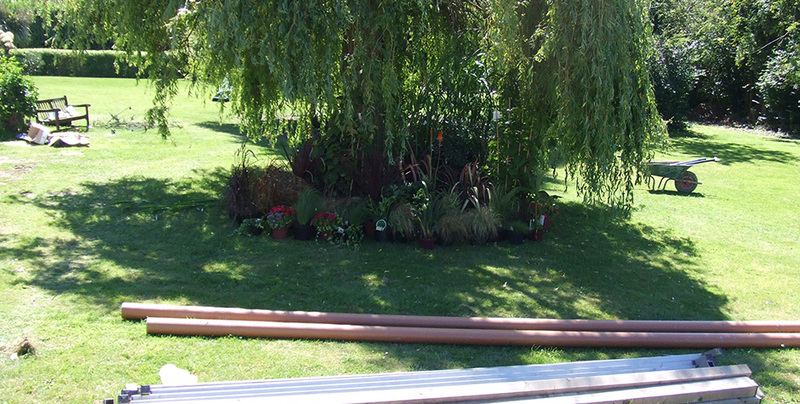 These were finished with evergreen and tropical planting. 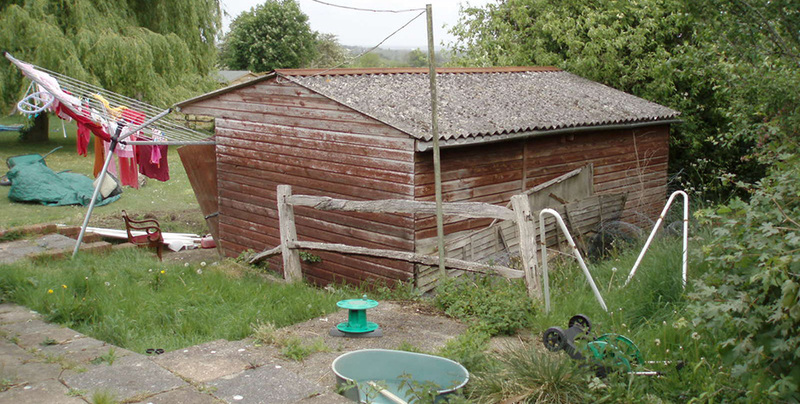 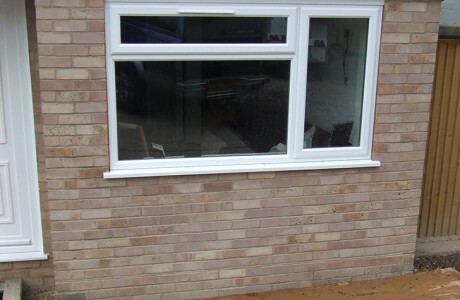 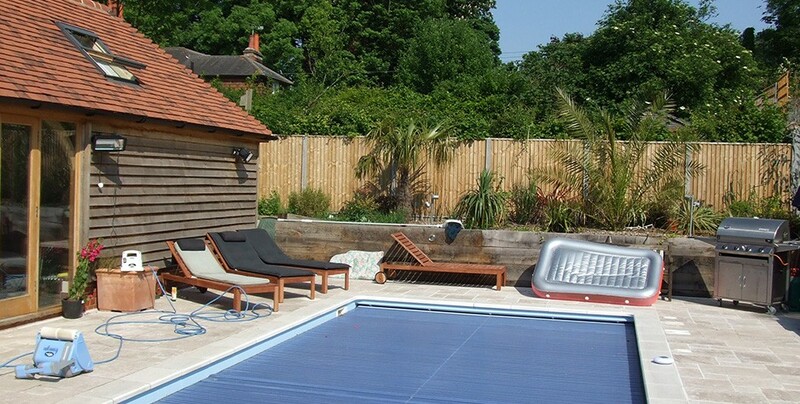 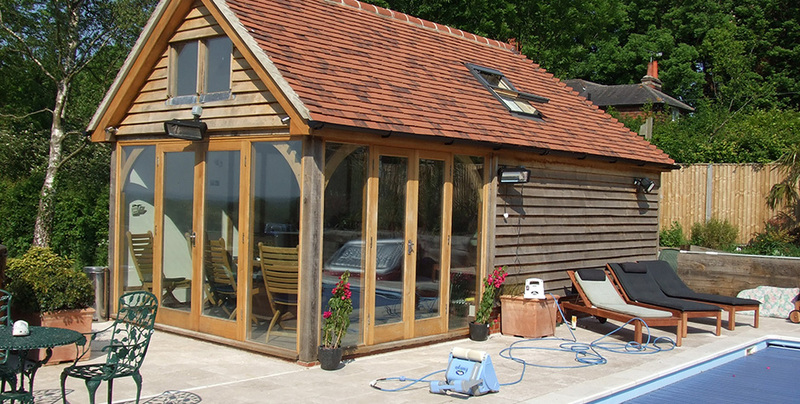 The swimming pool area was paved with travertine tiles and an oak barn games room with separate changing facilities and pump house was also installed.